Increase the protection of your home with the security cameras. Watch real time video, create rules to start recording when movement is detected or doorbell rings. * Recording and snapshots requires subscription. Live view is a free of charge feature. All video clips are stored into secure Cozify cloud. If you want, hub sends snapshots into your email account. All traffic between Cozify Hub, cloud and phone is secured. 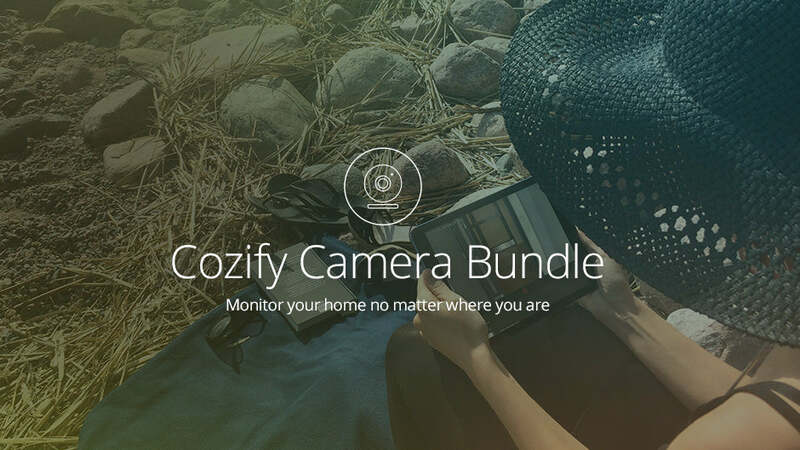 The best way to get started is ordering Cozify Camera Bundle that contains Cozify Hub, a motion sensor and an IP-camera. NOTE: Minimun requirement for network bandwith is 1 MB uplink, 2 MB preferred. Already own Cozify Hub? To order your camera click here.